Finalist for the Edgar Award for Best First Novel, Harlan Coben meets early Dennis Lehane in this “smashing debut thriller” (Chicago Tribune), set in a small northern Michigan town by a Pulitzer Prize–winning journalist. In the dead of a Michigan winter, pieces of a snowmobile wash up near the crumbling, small town of Starvation Lake—the same snowmobile that went down with Starvation’s legendary hockey coach years earlier. But everybody knows Coach Blackburn's accident happened five miles away on a different lake. As rumors buzz about mysterious underground tunnels, the evidence from the snowmobile says one thing: murder. Gus Carpenter, editor of the local newspaper, has recently returned to Starvation after a failed attempt to make it big at the Detroit Times. In his youth, Gus was the goalie who let a state championship get away, crushing Coach's dreams and earning the town's enmity. Now he's investigating the murder of his former coach. But even more unsettling to Gus are the holes in the town’s past and the gnawing suspicion that those holes may conceal some dark and disturbing secrets—secrets that some of the people closest to him may have killed to keep. This reading group guide includes discussion questions, ideas for enhancing your book club, and a Q&A with author Bryan Gruley. The suggested questions are intended to help your reading group find new and interesting angles and topics for your discussion. We hope that these ideas will enrich your conversation and increase your enjoyment of the book. 1. Some of the residents of Starvation Lake seem to think that opening the Blackburn investigation is only stirring up the mud, and would prefer to keep the past in the past. “Why bother? Nobody here wants to know the truth anyway” (361). Should the town be made aware of the truth, or do you think that the investigation opens old wounds unnecessarily? 2. Starvation Lake is a hockey town. How has the sport, and his failure to save a championship-winning shot in particular, informed the way Gus has lived his life? 3. 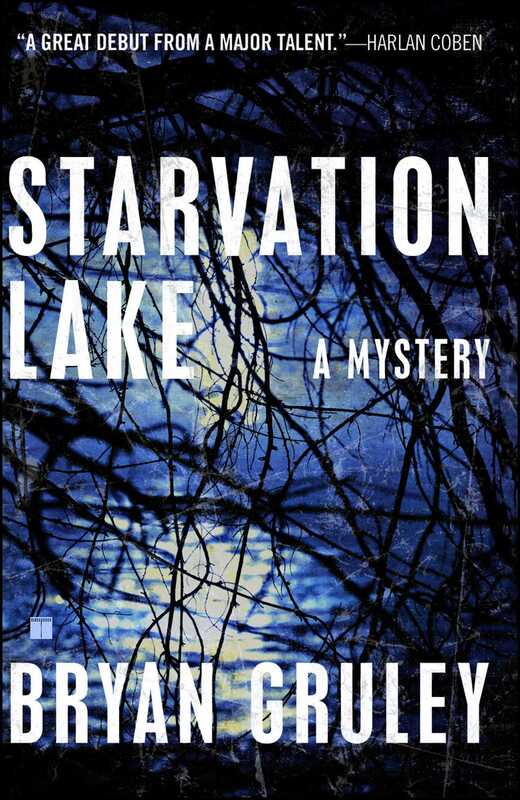 In Starvation Lake, the newspaper, television station, lawyers and police force often compete with one another to piece together clues and uncover evidence. Do you think that this is an accurate portrayal of how the media and law enforcement interact with one another in the real world? 4. As a coach, Jack Blackburn emphasized “the ultimate goal” of winning the state championship, and even told his players that “losing is good for winning” (59). Discuss this coaching technique. Do you agree or disagree with this approach? Does his coaching style provide any insight towards his crimes? 5. To what do you attribute Gus’s naiveté regarding the felonies going on “right under his nose” during his youth? Do you think the guilt he feels for being unaware is warranted? 6. Blackburn attributes the “demand” for his willingness to “supply,” and states, “Because people are going to get it anyway, one way or another” (425). Given his rationale, does Blackburn’s refusal to accept responsibility have any validity? Who do you think has committed the greater crime – the person who provides the illegal material, or the person who consumes it? 8. Discuss Gus’s relationship with his father. How does the realization that his father was involved in Blackburn’s scheme affect Gus’s memories? Do you think that there may be more to discover regarding Gus’s father in the upcoming books in the series? 9. By the end of the novel, has Gus’s failed save in overtime at the state championship game ceased to haunt him? Has Starvation Lake finally been given something else to talk about? 10. “Many of the rules of journalism are dressed in shades of gray” (187). By the end of the novel do you consider Gus to be a moral journalist? Which of his career decisions have helped you come to this conclusion? Beyond his experiences as a young man on a newspaper staff, what do you think motivated Gus to become a reporter? 11. What do you think the future holds for each character? Gus? Darlene? Joanie? How has your background in journalism helped prepare you to write mystery fiction? Is Gus inspired by anyone you know? My years working for newspapers small and large helped me invent the Pine County Pilot and informed much of Gus’s behavior and choices relating to his journalistic present, past, and future. As for writing a mystery novel, per se, I didn’t set out to write a genre mystery; I just wanted to tell a story. Storytelling has been a big part of my journalistic career, both as a reporter who loves to write nonfiction narratives and an editor who encourages others to write them. Turns out the story I chose to make up in Starvation Lake is a mystery. OK. I think most novels are essentially mysteries, wherein authors pose questions and answer them as they see fit. The question about Gus reminds me of the time I told my Wall Street Journal colleague Greg Jaffe, a great narrative writer, that I was writing a novel. “Don’t tell me it’s about a hockey-playing journalist,” he said. Very funny. Actually, though, Gus is an amalgam of many people I have known, journalists and not, and just as all of them have influenced who I am in one way or another, they have influenced the way Gus apprehends and interacts with his world. So, I suppose there’s a bit of me in Gus, although I am not a goaltender, at six feet two I’m a head taller than Gus, and almost none of what happens in the book ever happened to me. What is your personal connection to the setting of the novel? Are you a Michigander? Could you see this story taking place anywhere aside from Starvation Lake? I grew up in Redford, a blue-collar suburb abutting Detroit on the west side. In 1971, my parents bought a cottage on Big Twin Lake, about forty miles northeast of Traverse City in the northern Lower Peninsula. It’s probably my favorite place on earth. I’m writing the answers to these questions at that cottage, sitting on an oak swing that faces the lake between a pair of ancient birch trees. For dinner, I’m planning on a patty melt at the Hide-A-Way Bar on the real Starvation Lake a few miles from here. Although Starvation Lake is purely fiction, the scenes, the food, the dialogue, the weather, the very streets of the town are inspired by things I have seen, heard, tasted, and smelled in the nearly forty years I have been visiting (and my summer spent as a reporting intern at the Bellaire News, not far from here). For instance, Bea Carpenter lives in a yellow house because there are a couple of yellow houses on Big Twin that I love looking at from the water. But this story could happen anyplace, small or big, where the need to win blinds people to the nefarious compromises that winning often requires. While I tried to create a little world that would be at once alluring and dangerous, the events and characters that populate it aren’t necessarily peculiar to northern Michigan; I’ve never met anyone up here even remotely like Jack Blackburn. Are there any mystery or thriller novelists you particularly admire? Are there any artists in other mediums who influence your work? I read widely and eclectically, so many writers have worked their charms on me, from Franklin W. Dixon to Flannery O’Connor to Howard Norman to Pete Dexter. The older I get, the more I appreciate great stories told well, and the less patience I have for writers who, as Elmore Leonard says, engage in “hooptedoodle” (showing off ). That isn’t to say I’m not guilty, but I’m trying to beat the rap. A beach vacation introduced me to Thomas Harris, and I loved Red Dragon and The Silence of the Lambs. 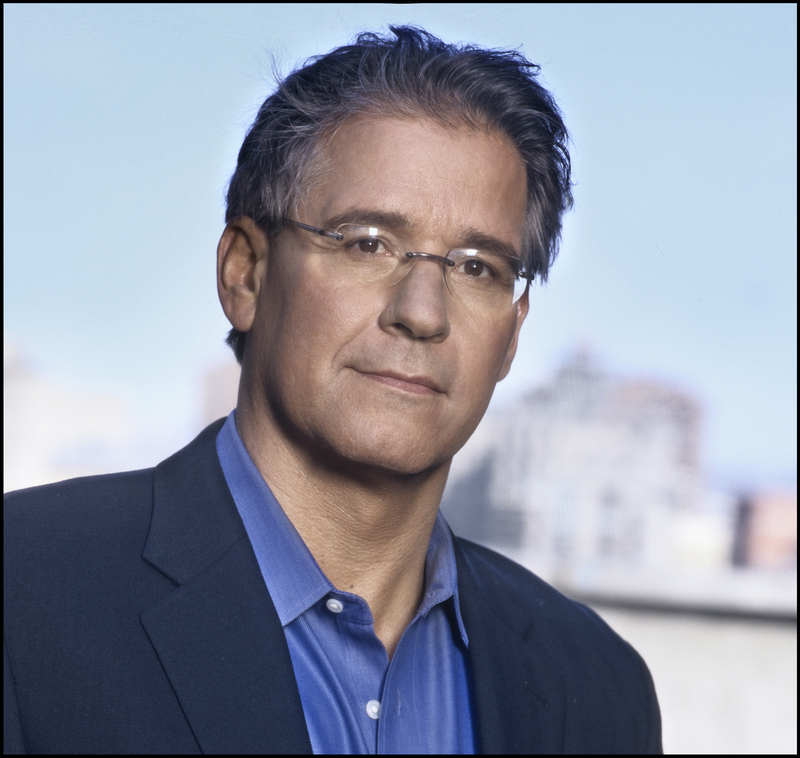 One thriller writer whose work gave me impetus is Michael Connelly. Reading his book The Poet some years back, while aware that Connelly is an ex-journalist, made me think I could take a whack at novels and have fun doing it. Has anybody my age not been influenced by the Star Wars trilogy? OK, my wife, but I can watch the first three flicks again and again and love them every time. But really just about every damn thing influences me—movies, cartoons, commercials, songs on the radio, brief items I see in newspapers. I carry around a little notebook to jot things down I might want to use. And I keep my ears open in the rink dressing room and on the bench when I’m playing hockey. Are the underground tunnels referenced in the book based on an existing urban legend? Why did you decide to include information about the tunnels but never prove or disprove their existence within the story? A rural legend, but yes, the tunnels were inspired by tales my brother Dave told me about sunken boats disappearing on Torch Lake, a gorgeous expanse of water in the northern Lower Peninsula. I chose not to prove or disprove their existence because it wasn’t necessary, and I’m not really sure yet whether they exist or not. There’s a chance they’ll turn up again in a future book. Would you please discuss the Leo Redpath character? How does he act as a foil for Blackburn? How do you hope readers will judge him? I love Leo Redpath. That doesn’t mean I admire him, although he has some admirable traits. I love Leo just as I love many people in my life who have made mistakes, and just as many people in my life have forgiven my flaws and foibles. Although Leo shares—or shared—certain characteristics with Blackburn, he was trying to move in a different direction. I don’t expect readers to admire Leo or even like him, but I hope they’ll empathize. Each character in the book is flawed in some way. Was it important to you that all of the characters were realistic, without one clear hero and one clear villain? In retrospect, yes. I can’t honestly say I had this sort of ambiguity in the forefront of my mind when I started to write Starvation Lake, but that’s how it turned out. That could be because I love watching characters struggle against their imperfections, from Holden Caulfield to Christian Bale’s Batman. It probably owes as well to my day job, where many of the most interesting stories are richly ambiguous. Besides, all goaltenders are flawed. Who in their right mind would play such a position? I’m back in northern Michigan trying to figure that out: What will become of Gus and Darlene? How might a rich ex–auto executive named Haskell help or hurt Starvation Lake? Why would Dingus and his deputies be called to a tree filled with old shoes outside of town? Has the ghost of a vengeful killer returned to haunt Starvation? How will Gus fare as a winger instead of a goaltender?